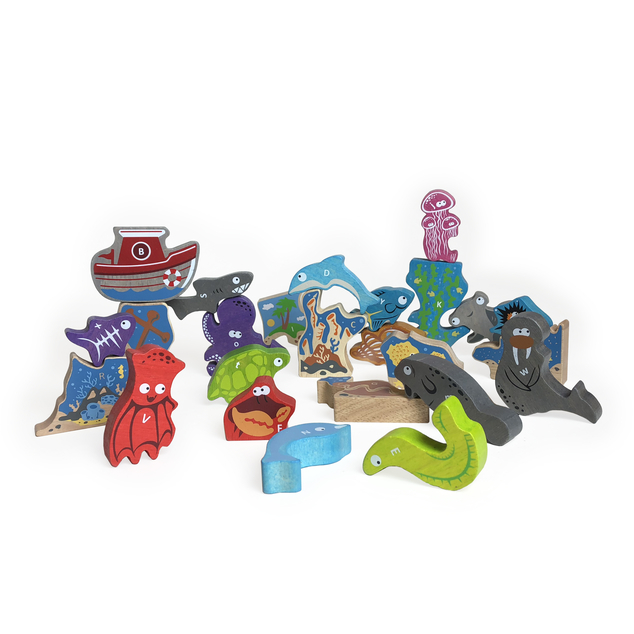 The Ocean A to Z Puzzle is a wooden puzzle, alphabet learning toy, and character play set all in one! It’s a challenging preschool puzzle and helps develop fine motor and problem-solving skills. 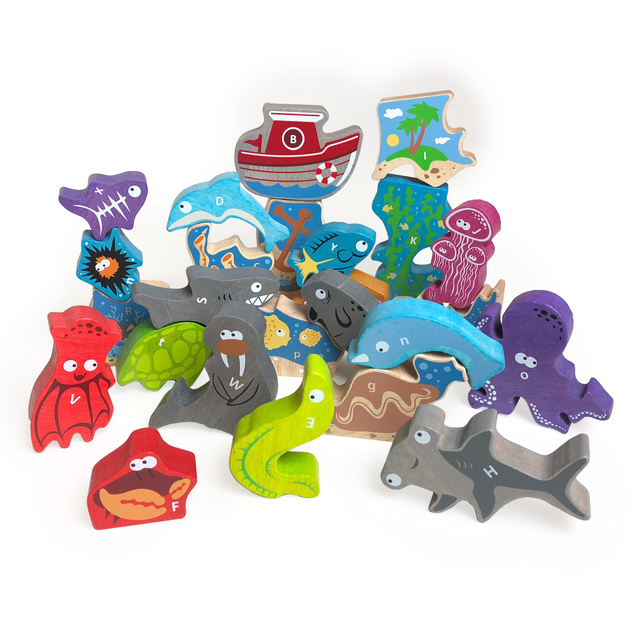 The ocean characters are great for inspiring storytelling. 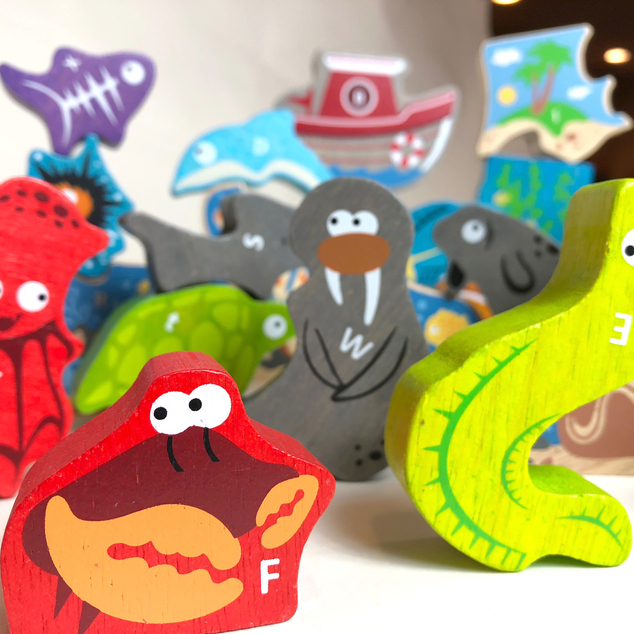 Parents and teaches will love introducing letters, objects, and alphabet sequencing. Clean up is easy with the wooden storage box that is included. 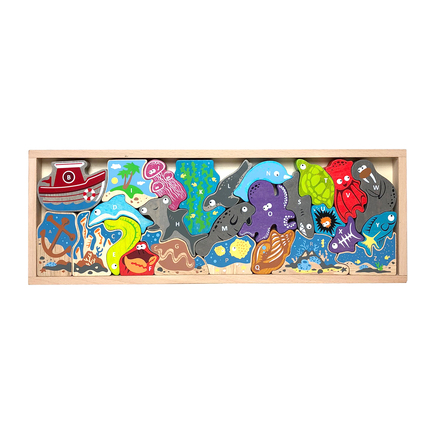 This puzzle is beautifully crafted from sustainably harvested rubberwood and finished with water-based stains.